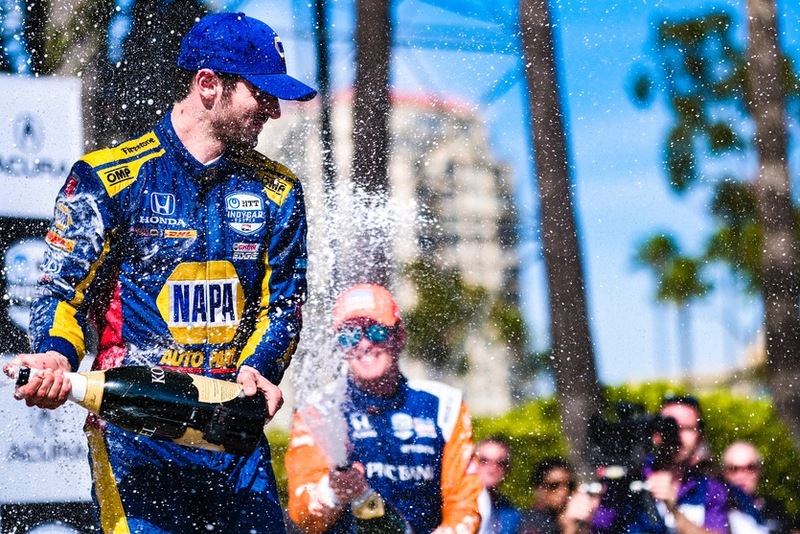 Alexander Rossi made it look easy in the Acura Grand Prix of Long Beach as he handily romped in the annual NTT IndyCar Series visit to the 1.968-mile, 11-turn street course in this colorful southern California city. Driving the NAPA AUTO PARTS Honda, Rossi led all but five circuits of the 85-lap race, ending up with a 20 second margin of victory and winning the race for the second consecutive year. And he gave his Andretti Autosport team its 200th all-time victory. Starting from the pole for the second time, Rossi took off at the drop of the green flag and steadily pulled away from the other 22 competitors. 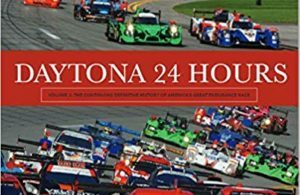 Lap one saw a three-car brush-up in the fountain area with Jack Harvey’s car momentarily ending up in a flower bed. Rookie Marcos Ericsson was penalized for causing the incident. Spencer Pigot was also involved but was able to continue. This incident brought out the race’s only caution flag. Rossi’s foes tried various strategies but none worked for catching the leader. However, the positions behind the fleet leader were up for grabs all the way to the checkered flag, to the delight of the sunbaked crowd. Finishing second was Josef Newgarden with champion driver Scott Dixon gaining third on the last lap after a bout with Graham Rahal. Rahal ran third for a lengthy spell only to have an issue in one corner on the final go-around, allowing Dixon to catch up. 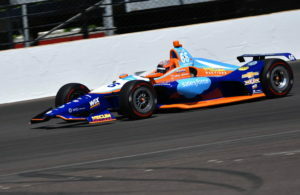 In trying to fend off Dixon, Rahal attempted to block him only to have officials set him back to fourth to his dismay. Ryan Hunter-Reay held on for fifth. Rounding out the top-10 were Simon Pagenaud, Will Power, Barber victor Takuma Sato, James Hinchcliffe and rookie Felix Rosenqvist. Power seemed to be headed for a podium finish until going off in Turn 1 while battling Dixon and others. 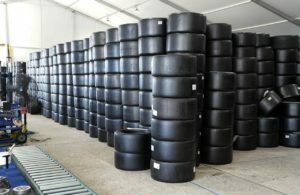 Dixon also had another issue when his team had a problem with its fueling mechanism, causing an 18-second pit stop and a loss of important track positions. At the finish, all but rookie sensation Colton Herta was running.